Debra Granik is a master of show don’t tell. 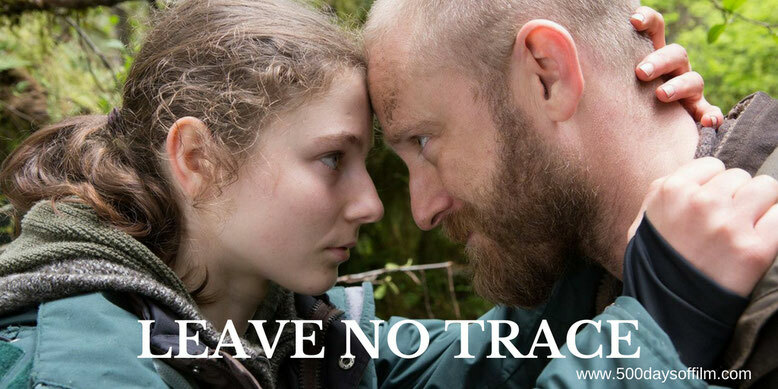 Eight years on from her powerful and atmospheric drama, Winter’s Bone, the director brings us another stunning and deeply moving tale - Leave No Trace. The two films tell different stories but they have much in common. Both movies explore the lives of people living on the very fringes of society. While strong and resourceful, they are also extremely vulnerable. In addition, both movies feature breakout performances from young female actors. In Winter’s Bone it was, of course, Jennifer Lawrence. In Leave No Trace it is Thomasin Harcourt McKenzie. Alongside the (always) superb Ben Foster, she gives an utterly breathtaking performance. In a film where words are redundant (intrusive even), we understand exactly how Tom is feeling. We sense her increasingly conflicted emotions. Harcourt McKenzie’s understated expressions speak volumes - drawing us further into the story. Tom’s relationship with Will is beautifully portrayed and feels incredibly authentic. The movie's early moments (full of wonderful, heightened colour) establish their “off the grid” lives in scenes that are, even from just a survivalist standpoint, fascinating to watch. Father and daughter work in perfect union. Theirs is a peaceful and harmonious world - father teaching daughter, daughter supporting father through his PTSD. Their occasional trips into the city (jarring thanks to Granik’s brilliant use of sound) only reinforce the value of their isolation. It is, therefore, deeply affecting to witness their discovery - a violent and upsetting capture. Forced back into society, we begin to understand that Will’s potential for rehabilitation may no longer match his daughter’s. Here, Granik starts to turns the tables. Tom begins to thrive while Will struggles to adapt. Scene by scene, Tom grows up in front of our eyes. Not by words, the use of makeup or clothes but by her actions, her posture and expressions. It is quiet and understated but no less powerful for that. Having established the relationship between Tom and Will and introduced compelling (and heartbreaking) conflict, Leave No Trace moves into its final act. I began to wonder how the the story would end. Could I hope for a satisfying conclusion to this wonderfully intimate and moving tale? However, as she proved in Winter's Bone, Debra Granik is more than capable of delivering a powerful and worthy final act. I desperately needed the end of Leave No Trace to be perfect… and it was. Leave No Trace was inspired by Peter Rock’s novel, My Abandonment, that was itself based on a series of articles published by The Oregonian in 2004 about the discovery of a father and daughter living wild in Portland’s Forest Park. Click here to read the articles. Will and Tom have impressive survival skills. According to Granik, they are “part of a subculture built around the preservation and practice of primitive skills”. To get the details of this life right, the filmmakers sought the advice of Dr. Nicole Apelian, a Portland local who has been practicing and teaching both survival skills (how to stay alive in the wild) and primitive skills (how to live in the wilderness) for many years. Have you seen Leave No Trace?